Braintax releases his long awaited second album this week. We’ve got copies of the CD alongside the lead 12” and limited edition 7” releases to give away. Try your luck. It’s more than worth it! 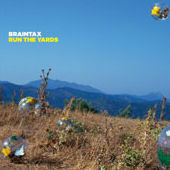 To be in with a chance of winning one of two Braintax packs including a copy of his heavy new album on CD, the first 12” ‘Run The Yards’ and the limited edition 7” ‘D-90 Rules’ just answer the following question. Verb T, Dubbledge and Mystro feature on ‘Panorama’ but which guests rapped on ‘Biro Funk’? COMPETITION CLOSED. WINNERS; ADAM BELL, AARON JEWELL.